With our print publications and digital products—St. Louis Magazine, Design STL, St. Louis Family, and stlmag.com—SLM Media Group has built a desirable audience within the St. Louis metropolitan area, through award-winning editorial and design; paid, targeted circulation; signature events; and an educated and affluent readership. A locally owned and operated company, we create informative, beautiful publications that serve as the local authority on what is so great about the Gateway City. 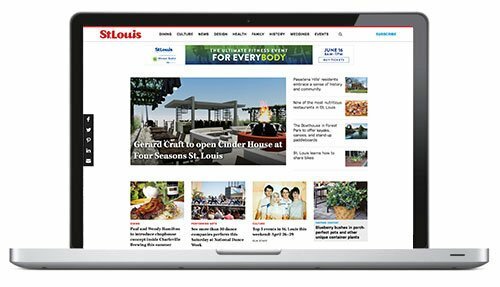 We provide our readers—both monthly through our printed publications, and daily through our website—with useful, current information that helps them make the most out of living in St. Louis. Through our pages, St. Louisans can connect with their city in a whole new way. St. Louis Magazine is the smart, sophisticated guide to your city. Each month our award-winning magazine brings our readers revealing profiles, discerning dining and cultural guides, in-depth features, informed commentary, and authoritative best-of lists. We connect you to St. Louis. While there has been a St. Louis Magazine in existence for nearly 50 years, our iteration has been published since 1995, when it was launched as a quarterly. The premier issue, published in spring 1995, featured a cover story on Sheryl Crow. By the fall of that year, St. Louis Magazine had increased its frequency to bimonthly; two years later, in November 1997, the magazine made the move to monthly, which has been its schedule ever since. Together, the magazine's editorial and art staff work to make each issue a compelling blend of packages that provide a service to readers (local health tips; best restaurants; unique shopping locations; affordable family activities; suggestions for picking the right school for your child), feature articles that profile local personalities or explore critical issues, and previews and reviews of the city's latest offerings in food and culture. Presented with sharp photography and striking illustrations, St. Louis Magazine provides an engaging, intelligent way for St. Louisans to know their region. Design STL is the unequivocal must-read for people who love their home. The magazine inspires St. Louisans to entertain, cook, decorate and thoroughly enjoy their home environment. With issues themed around the outdoors, culinary, design and holiday, Design STL provides both valuable information and trends to inspire. 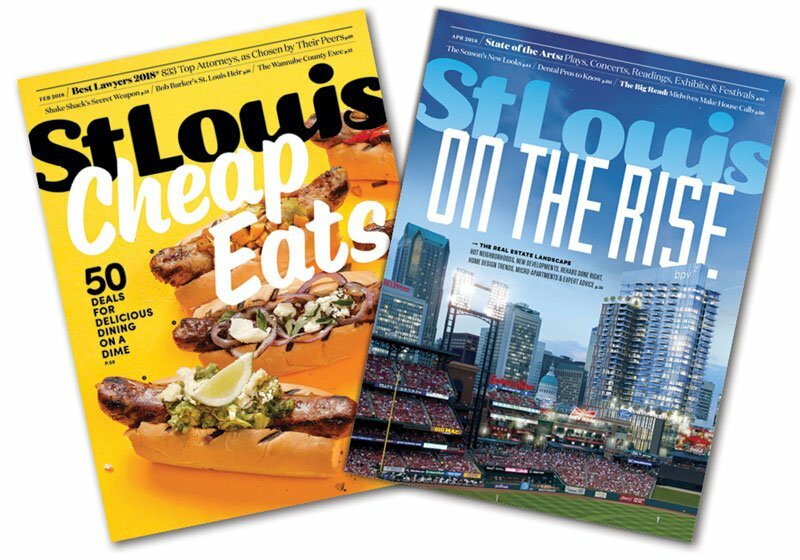 Design STL, originally referred to as St. Louis At Home, was first introduced in February 2004 as a special quarterly insert in St. Louis Magazine. Earning great response from readers and advertisers, SLM Media Group launched the premier issue of St. Louis At Home in spring 2005. The next year, St. Louis At Home earned top honors from the City & Regional Magazine Association in the category of Ancillary Publication. The publication has continued to evolve since then. 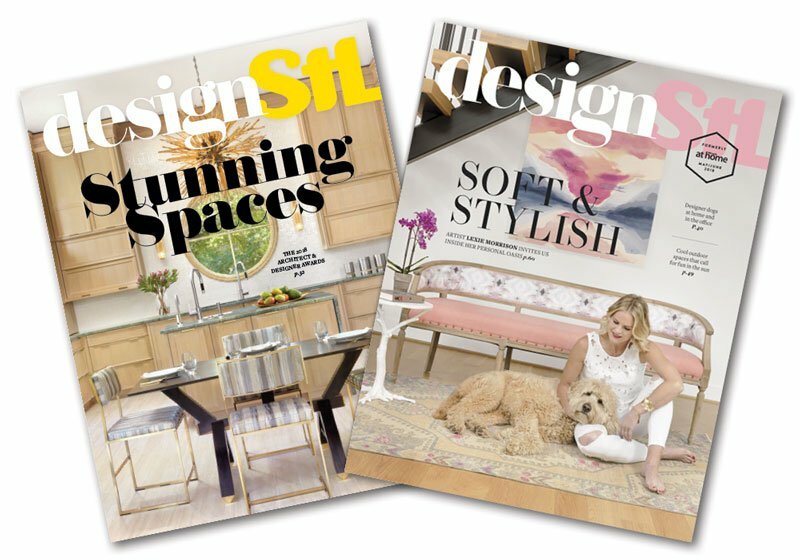 In May 2018, the magazine's name was changed to Design STL to represent the broader scope of the editorial content. 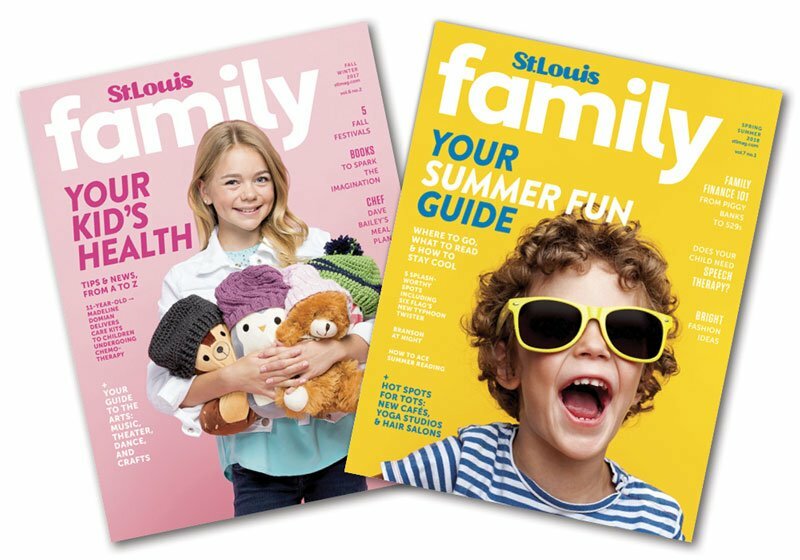 Launched in April 2012, St. Louis Family provides St. Louis area parents with more information about how to enjoy a happy and healthy family life. The magazine is filled with information about education, healthcare, sports, entertainment, shopping, and more. Covering topics that pertain to children from birth to their teenage years, the magazine will help guide parents through all our region has to offer. Stlmag.com brings readers stories from our print publications as well as original content that can be only found online. Our website is now more attractive and intuitive than ever. A mobile-friendly format works for both iOs and Android devices, and the website delivers timely articles, photo galleries, video, contests, promotions, and more.